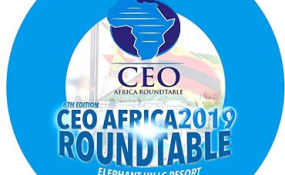 ZIMBABWE'S economic problems area due to the twin challenges of trade and fiscal imbalances, Africa CEO Round Table chairman Oswell Binha has said. "Shortages of forex and cash are not the problem but simply symptoms of the underlying and unstainable deficits and imbalances over decades," Binha told NewZimbabwe.com. "The country is at a juncture where a national consensus is required, of critical importance is the need to regain all lost trust, confidence and certainty," said Bimha. "It is against this background that, as CEOs, we will converge in Victoria Falls to provide leadership and solutions to these problems and, accordingly, our theme is 'From Talk to unified Action Towards a More Responsible and Inclusive National Economy. "The fact that by our own admission we have broken our own laws through borrowing way beyond legally approved limits, should be a wakeup call to us as a country in general and specifically to the Monetary and Fiscal Authorities. "The insistence on an exchange rate 1:1 and hence resistance to allow a market determined exchange rate between the RTGS and USD has precipitated an effervescence in the economy which if not attended to will seriously dislocate the pillars on which our economy rests, this will accelerate de-industrialisation." Binha added, "Clearly the country is divided in various platforms with emotions reigning high as the injured population recollects the nightmares of bearer cheques and the wiping off of their life-long savings back in 2009. "Yes, government has done well in containing the budget deficit of late, but this may not be enough. "The government has the responsibility to address the trick question of currency options in an inclusive manner."